Blog Welcome to the Blue Amaranth! 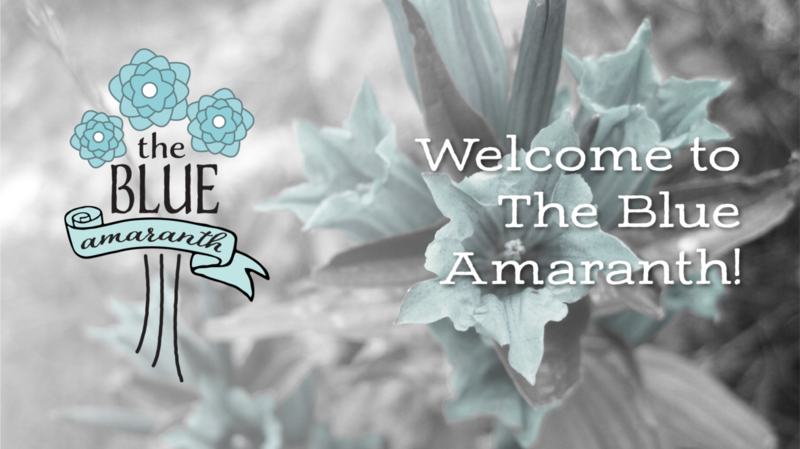 Welcome to the Blue Amaranth! I love to write. When I was a little girl, one of the first stories I wrote was called “The Caribou and the Blueberry.” It was an adventure in which I got kidnapped and my brother and dad came and saved me. I don’t remember now how the caribou and blueberry fit in… I’ll have to find that box of stories and let you know. I digress. I love to write, and, until a few years ago, I had no idea that my writing could be purposeful. That idea came about upon discovering the Rabbit Room. There, I found a philosophy that I had never heard: since God created us, we can create stuff that reflects Him or His light. A few years later, in a class on J.R.R. Tolkien’s The Silmarillion and The Hobbit, I realized that Tolkien was practically the inventor of this idea. I fell in love with the Rabbit Room, Tolkien, and the idea that they had taught me. But I stayed in the shadows. I read the posts on the Rabbit Room, laughed and cried over them, but never commented, never thought that I could be good enough to write something that good. Then I started looking at personal blogs of people in the comments, and I just shook my head and wondered how they were so good at writing and articulating their thoughts. Then I had an idea — a crazy, crazy idea: I should create a website, where I could blog and have an outlet for my writing. I’m not sure what I’ll write about on here, so you are on an adventure with me — there may be a blueberry or caribou along the way! However, I do know that I want to stick to the idea that Tolkien and the Rabbit Room taught me — I am a subcreator and whatever I create can and should reflect (or as Tolkien says, refract) the light of God. And now, the idea has grown to include a real website with a portfolio page for my graphic design, and an Etsy store, and Instagram page! Who knows what’s around the corner!